This paper presents our ongoing effort on developing a principled methodology for automatic ontology mapping based on BayesOWL, a probabilistic framework we developed for modeling uncertainty in semantic web. In this approach, the source and target ontologies are first translated into Bayesian networks (BN); the concept mapping between the two ontologies are treated as evidential reasoning between the two translated BNs. 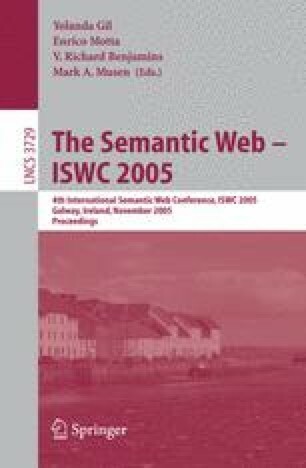 Probabilities needed for constructing conditional probability tables (CPT) during translation and for measuring semantic similarity during mapping are learned using text classification techniques where each concept in an ontology is associated with a set of semantically relevant text documents, which are obtained by ontology guided web mining. The basic ideas of this approach are validated by positive results from computer experiments on two small real-world ontologies.